The history of L. E. Williams & Company, P.C. is built upon a tradition of service, technical expertise, and innovative thinking to meet the needs of a rapidly changing world. The experience and academic credentials of our partners and staff provide our clients with the expertise of larger firms, while our commitment to superior customer service offers a personal, one-on-one approach. Larry Williams, CPA, CVA See attached profile. Larry is the President and owner of L. E. Williams & Company, P.C., and has been in public accounting since 1985, with experience in all aspects of accounting and taxation. He is a Certified Public Accountant (CPA), and a Certified Valuation Analyst (CVA). Larry is a member of the American Institute of CPAs, Michigan Association CPAs, and National Association of Certified Valuation Analysts. Business valuation for divorce, estate/gift tax, and buy/sell. Jim has a BA Degree from Michigan State University in accounting. He has extensive experience in public accounting, financial management in the gaming and hospitality industry, and financial management in the automotive industry. 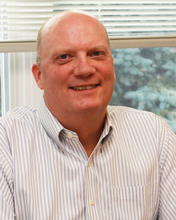 Jim is a member of the Michigan Association of CPAs and the American Institute of Certified Public Accountants. 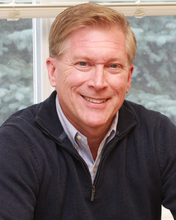 Jim works with small business clients and individuals, and he has experience in individual, corporate, partnership, trust, and other tax areas. Ralph is a graduate of Arizona State University earning a Bachelor’s Degree in Accountancy. He has been a licensed CPA in Arizona since 1990. Prior to his current position with L.E. Williams & Co., he has served as a Trust Officer, and an Internal Auditor, Cost Accountant, and Financial Analyst in the manufacturing sector. 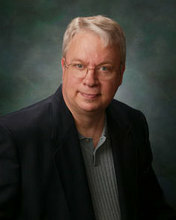 He is a current member of the Arizona Society of CPA’s.